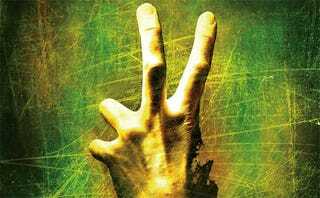 Vocal Left 4 Dead 2 detractors and founders of the boycott against the game, Agent of Chaos and Walking_Dead, will be putting an end to the group established to protest the sequel as of next week. Why the concession? "We have accomplished everything we can on our manifesto," wrote Agent of Chaos on the group's Steam Community space. "We've been dealing with Valve ever since our group started, then we met them in-person and now we're at the point of concluding our discussions. Our goal wasn't to steer people away from L4D2, it was to get Valve's attention and have them support original L4D. We succeeded and that's where our mission ends; nothing more or less." The duo sound more like evangelists at this point, having personally met with Valve and shown what the future of Left 4 Dead holds. The two appear to finally be on board with this whole Left 4 Dead 2 thing. "The boycott has served its purpose and it is now up to you all as individuals to decide what is right for you," writes boycott co-founder Walking_Dead in a follow up. "As a collective we have done more than achieve a few goals, we have paved the way for Developer-Community relations in the future. No matter what the press or other gamers say, we have made an indelible mark upon the future of this industry. You should all be proud, we certainly are." It really warms the heart, doesn't it?